Hotel beds seldom disentangle themselves from design cliches and for good reason. Most travelers prefer a luxurious and a comfortable bed where they can sink in after a hard day of sightseeing. However a new school of thought is emerging that seems to think that a bed is also a part of the travel experience and should be as unforgettable as one’s holiday. So below we are listing beds that have captured our imagination and takes the art of sleeping to a whole new level. If you dream of waking among stunning coral reef and marine life of the Indian Ocean, then check into the Conrad Maldives Hotel. 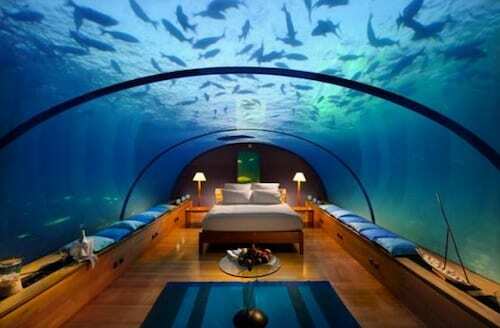 The hotel on special request transforms their all-glass underwater restaurant, Ithaa, into a suite. Not as exotic as the rest of the beds in the list but a godsend for insomniacs. 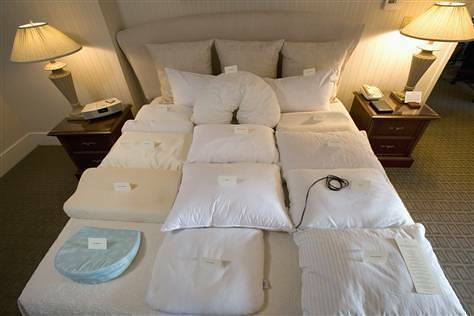 The boutique hotel is renowned for its sleep programs and the bed is a vital part of it. The pillow selection is legendary and one is also privy to 100-plus-thread-count Egyptian linens by Anichini and a down comforter with triple sheeting. 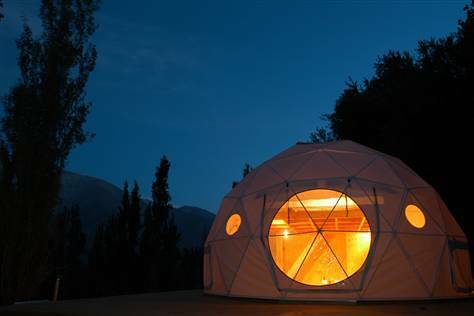 Stargazers will fall in love with the Geodesic domes as they have an unparalleled view to the stunning carpet of stars in the sky and each dome’s USP is its bed which is designed specifically for stargazing from the bed itself. You don’t need to attain spiritual Nirvana to levitate. Hotel Seven, a boutique hotel in Paris has specially-engineered Floating Beds that gives you an illusion of floating in air. Ice Ice Baby! Sorry for breaking into the cheesy eighties number but the Ice Bed will have the same effect on you. 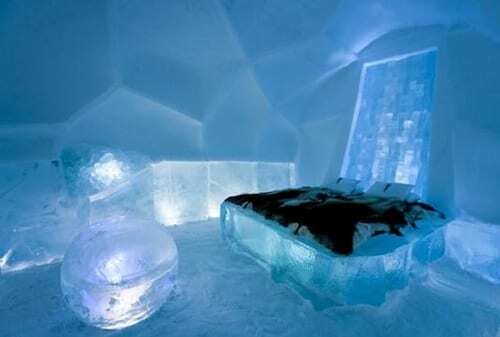 The stunning bed is made of packed snow and covered in reindeer skin. Animal lovers stay away! Fly high with the surrealistic Flying Bed in the Propeller Island City Lodge. The bed isn’t actually flying and the effect is created via slanted floors. in fact on the ceiling the phrase “Distorted Room” is painted making it uber cool. Get connected with nature and take in the breath-taking view of the Loisaba reserve from your bed. 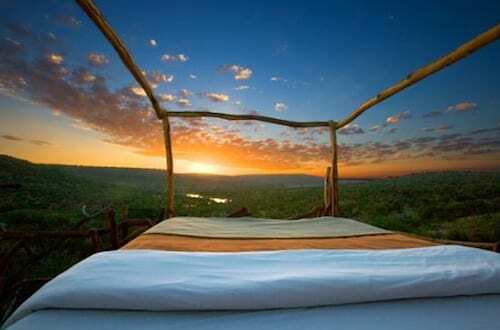 The Kiboko Star Bed overlooks a waterhole and is perfect for to gaze at Africa’s diverse wildlife. 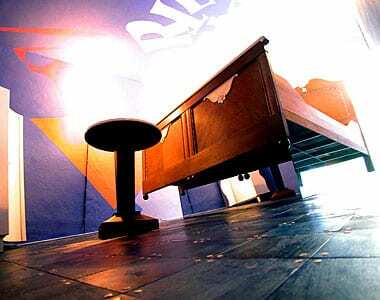 The Propeller Island City Lodge is the place to be for adventurous travelers. 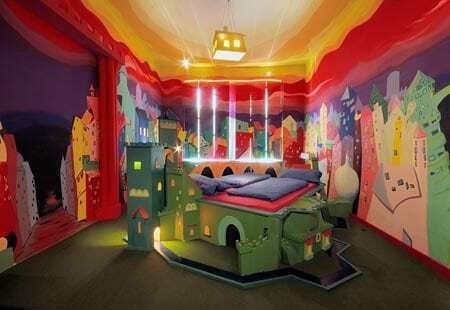 Their Castle Bed is built on a fortress which also contains a wardrobe and desk and the meadow round the knight’s helmet also has a miniature golf course in it!